Easy 4-ingredient Strawberry Cookies! A summer favorite, these soft and chewy Strawberry Cake Mix Cookies are ready in 20-minutes! Strawberry flavored desserts and cookies are my two favorite things right now. This luscious cookie is packed with plenty of strawberry goodness. A strawberry lover’s favorite dessert. This quick and easy cookie is one of my most requested recipes for summer. If you haven’t noticed, I love baking. Baking is therapeutic for me. When I’m bored or stressed, I’ll come home and bake away in the kitchen. While it can be a good way to relieve some stress, I quickly snap back to reality when I see the mess I’ve made in my kitchen. When I’m baking or cooking, there are a least five cabinet doors open, and flour everywhere. Sometimes, I even put off cleaning the kitchen up for a day but it’s all worth it to me! Sometimes I want to bake, but not have to deal with the cleanup afterward. This is one of the many reasons I love this Strawberry Cake Mix Cookie recipe. They’re super easy to make with just 3-ingredients and you only need one bowl to mix them up. No crazy amount of dirty dishes, no major cleanup, just 10-minutes of your time and another 10-minutes to bake in the oven. Seriously, I can’t say enough good things about these cookies. Summer is a great time to make strawberry cookies and I cannot seem to get enough of them. 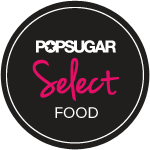 They are refreshing, flavorful, sweet, and are the perfect bite-sized dessert to treat yourself. Every summer I bake a batch of these cake mix cookies and bring them to potlucks and birthday parties. 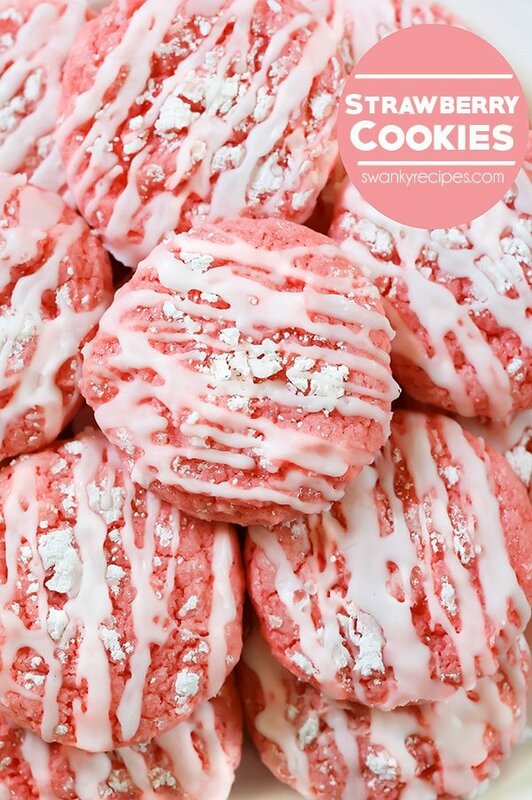 It’s such an easy how to make strawberry cookies recipe to add white chocolate chips or fresh strawberries in. If you really love strawberry flavor, try this fresh Strawberry Layer Cake I made last month with a flat of strawberries from the farmer market. To make the dough easier to work with, cover the bowl and refrigerate it for 20-minutes. The cookie scoop may have extra dough stuck to it but I usually just dust it in powdered confectioners’ sugar and refrigerate the dough. This way, each strawberry cookie is the same size. 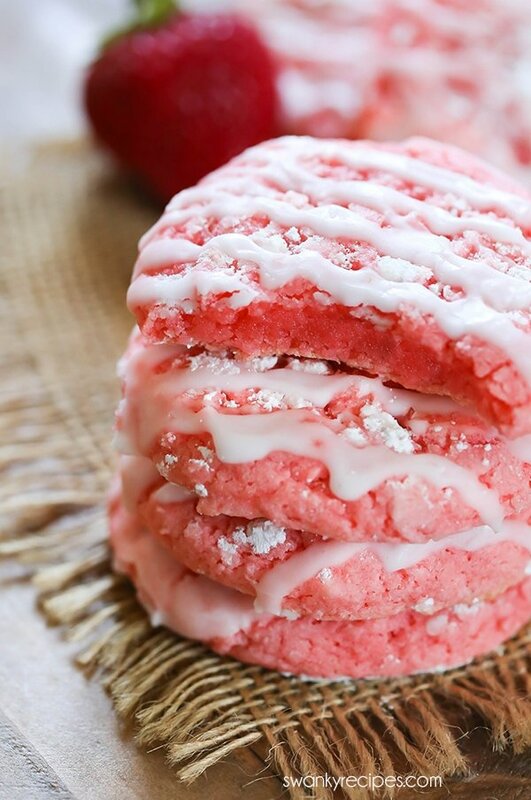 If you love these Strawberry Cake Mix Cookies, try these Lemon Sugar Cookies. 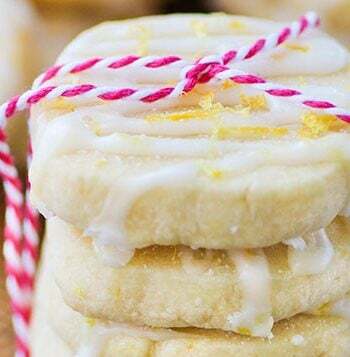 This recipe has an option to make them into cake mix cookies and it also has a fresh lemon cookie recipe that’s been shared over 700,000 times! Summer isn’t over until you’ve baked a batch of these flavorful strawberry cookies. The ultimate soft and chewy Strawberry Cookies that are great for any summer party, birthday party, or holiday. 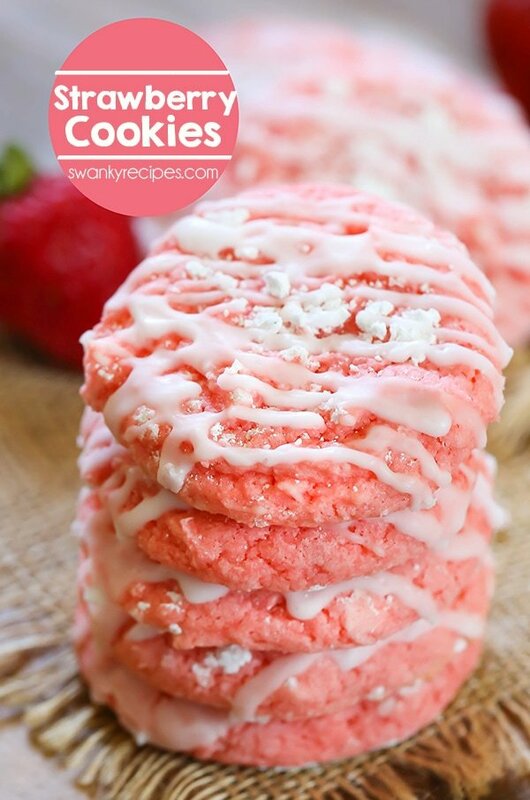 Easy Strawberry Cake Mix Cookies using 4-ingredients! Soft and chewy, bakery-style cookies. 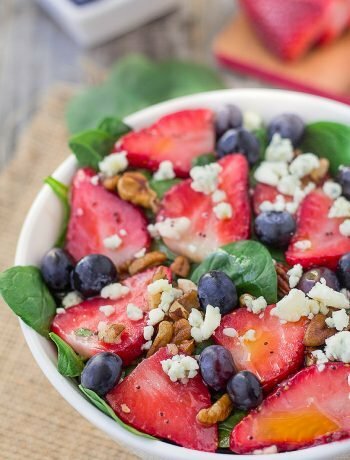 A summer favorite made in just 20 minutes! In a medium bowl, add cake mix, eggs, and vegetable oil. 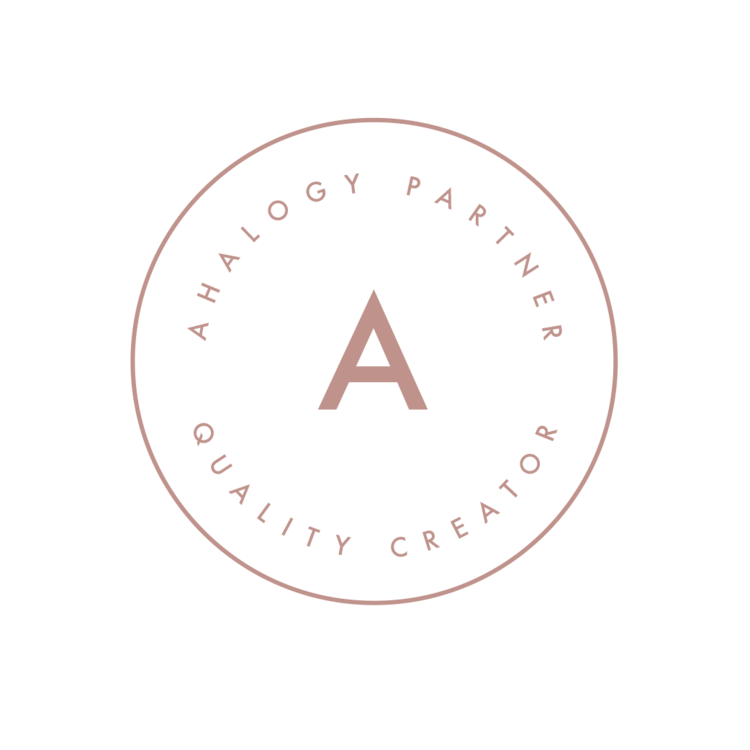 Mix until combined. Refrigerate 15-20 minutes. This will make it easier to scoop. Use a cookie scoop to scoop dough and form a ball. Otherwise, I usually use about 1 1/2 tablespoons dough rolled into a ball. Place on to cookie sheet 1-inch apart. Sprinkle tops with a little powdered confectioners' sugar. 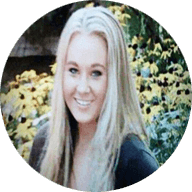 Bake in oven 9-11 minutes. Each oven is different but the tops should be slightly golden. To make the glaze, in a medium bowl, combine water and 1 1/2 cups powdered confectioners' sugar. Mix with a spoon until lumps are gone then use a spoon to drip glaze over the tops of the cookies. Strawberry flavor sweets are just irresistible! These cookies look so pretty in color, and with a beautiful soft texture. Perfect to share with friends and family. I love easy recipes like this! My kids are going to go crazy for these cookies. What a gorgeous color! These look so good! 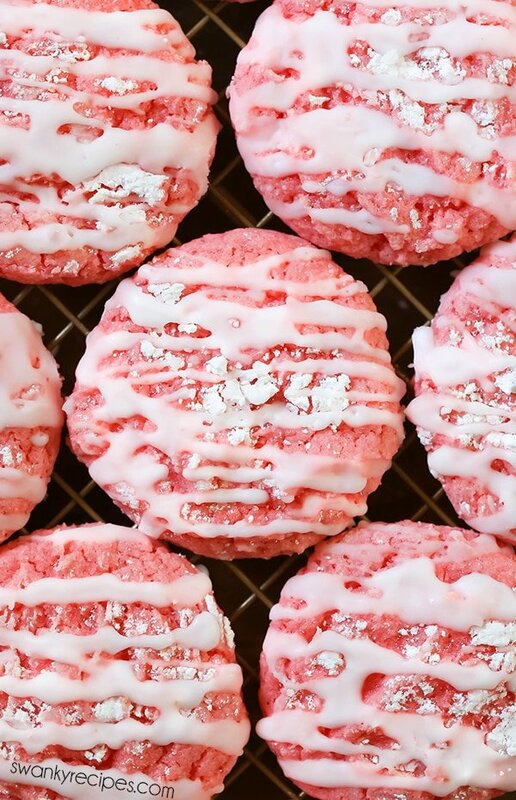 I’m a sucker for anything strawberry….and for cookies….this is a perfect combo! Plus the cake mix hack is so nice and easy! 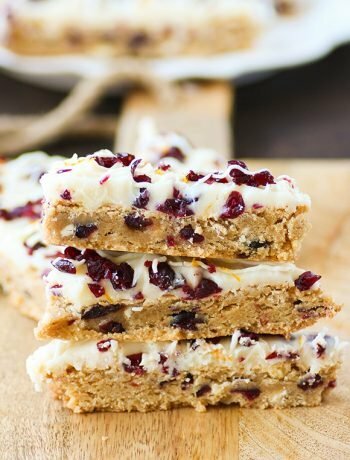 Love the fact these cookies are 4 ingredients and take only 20 minutes to be ready! Such a quick, yet so delicious recipe, and using a cake mix- genius idea! I like to bake too, but I don’t have any self-control when a yummy dessert is in front of me so I don’t do it very often 🙂 These cookies look fabulous, and would be perfect to share with friends. Oh those look divine! The insides look so chewy! Definitely something I’m going to make soon. 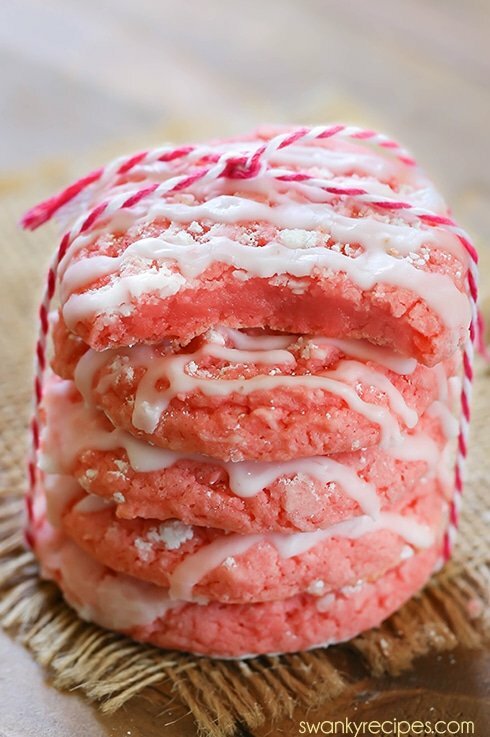 These remind me of Ooey Gooey Butter Cookies but with strawberry mix instead! They look dangerous! These sound so fresh and summery. Perfect for strawberry season, that’s for sure! What a delicious cookie! I love these for a yummy summer time treat! These are so pretty! And obviously, I’m a big fan of baking for stress relief, so I hope you have more reasons to bake more recipes like this soon! …wait, the sounded mean. Haha! Talk about the perfect cookie! Love the glaze on top and that these are so quick, so easy to make. Such a time saver and the cookies come out so super soft and perfect. Hi Nelva, some tricks I use to get cookies like this; use a cookie scoop and roll them into balls. Bake them long enough for the puff to go down then pull them out and let them cool before transferring to a cooling rack. If you’ve done both of those, you may want to make sure you’re adding the correct amount of liquid with a measuring cup, otherwise, you can also use a flat spatula and tap the top of the cookie lightly to flatten it. Hope that helps. Happy baking! These would be even better for valentine’s day if you add a bit of red food coloring to the some of the glaze …make some with red glaze and some white glaze OR a little of both!